Fall is one of these seasons that seems to come on fast. And then, once it is here, it is over fast. Once we send our kids back to school, the leaves start falling. Then Halloween, Thanksgiving and Christmas seem to appear on the horizon so quickly. As I write this, it is the last week of October and my family is already making plans for Thanksgiving. To help those of you who are in the same boat as me, I am writing two posts to help you get ready for Thanksgiving without taking too much time away from the real focus of the holiday, family and food. They are completely intertwined, aren’t they? 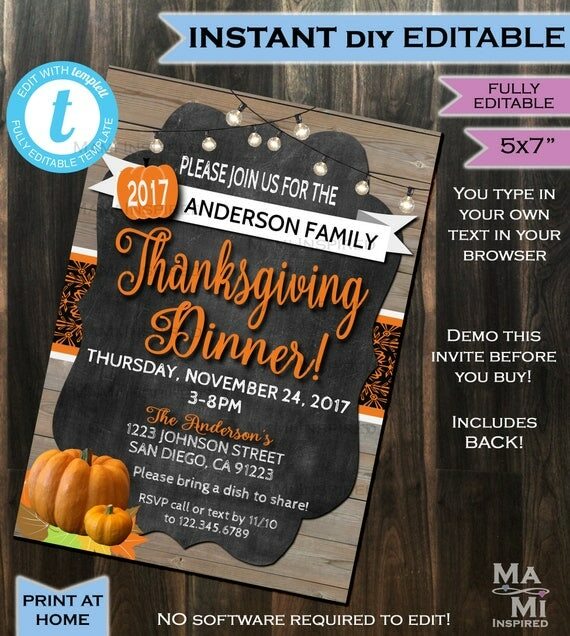 This page focuses on printable Thanksgiving invitations, planner stickers, banners, decorations and kids activities for the entire holiday weekend. Many kids are off of school Wednesday through Sunday which means they need activities while you get your home ready and cook your turkey and other family favorites. To find out more about each printable, click the image or button and you will go to the product page. 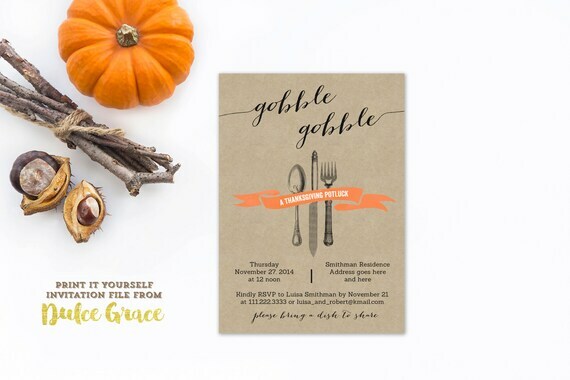 This printable invitation has a shabby chic vibe to it. You can personalize it with your own information and either print it out or email it to your friends and family. It’s bright colors are very cheerful and welcoming. 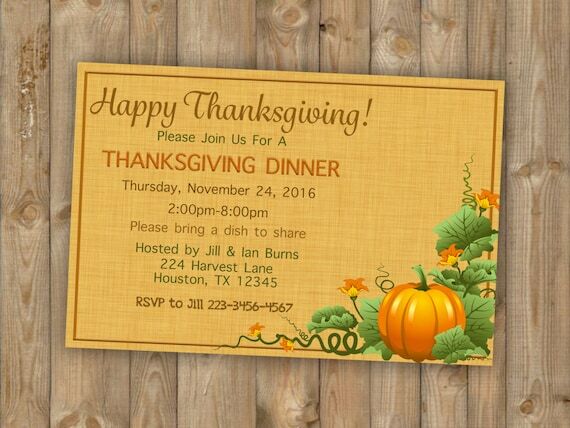 This adorable invitation has a vintage rustic look to it with the chalkboard center and and hand-drawn turkey in the center. 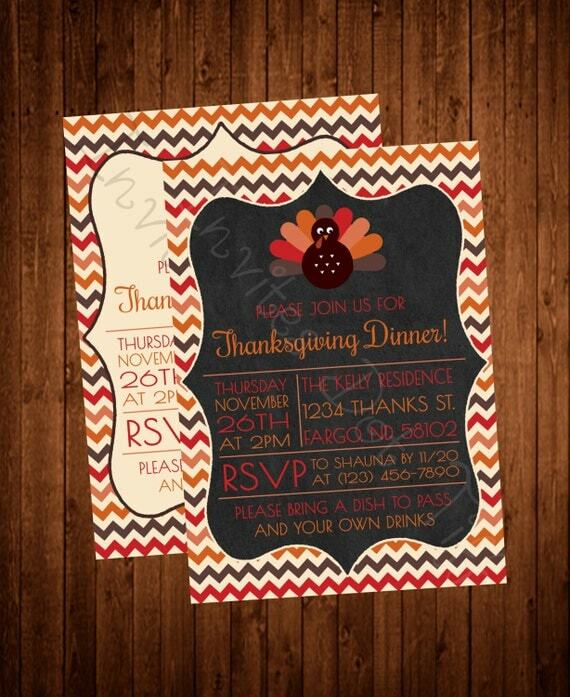 The red, orange and gold chevron background is bright and warm, and you can personalize the details when you order. You have a lot of options with this rustic invitation. You can edit it to personalize the text and it has less of a cute feel. The color combination is warm and will appeal to any guest male or female. When you click through you can see how to order. This beautiful design features hand-painted floral motifs on a chalkboard background. 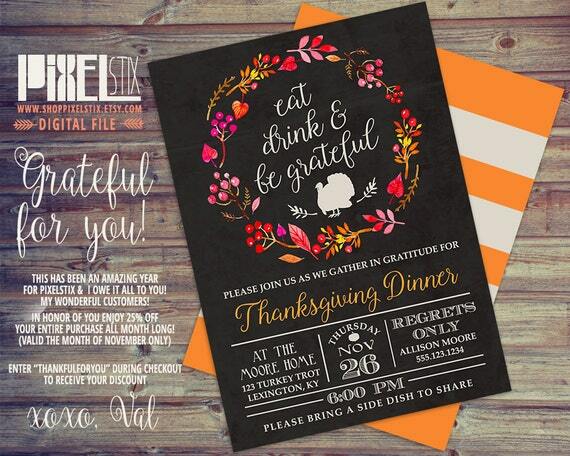 Easy-to-read, this invitation can also be used for other holidays by changing the text. Personalize it for your family event. 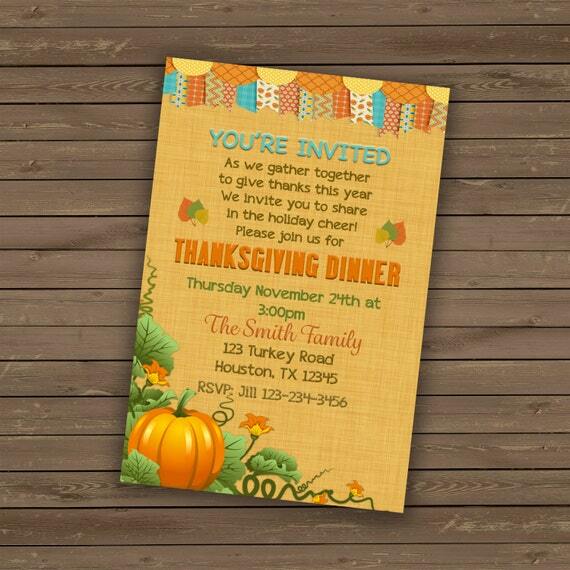 A simple style, this printable invitation looks like it has a background made of fabric with a pumpkin patch motif on the right lower corner. While this darling printable is designed on a craft background giving it a rustic appeal, the design itself is more upscale. The design is lovely showing primarily black print and only one stream of orange in the banner. 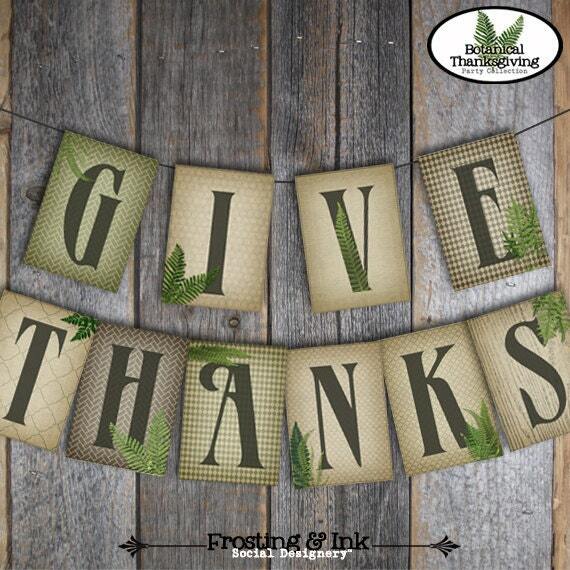 This Thanksgiving banner can be used at home, school or in your office if decorations are permitted. It has a fern pattern and evokes a vintage feel. So lovely. 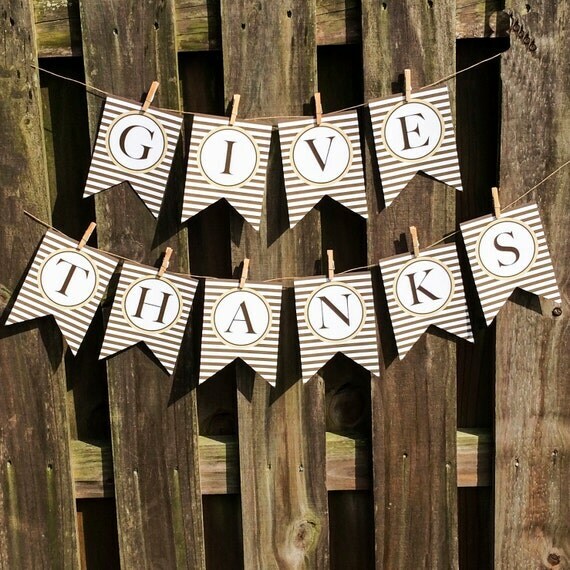 Another banner in a different style, this can be hung anywhere in your home to remind everyone to be grateful. This banner has an array of patterns, one on each flag. 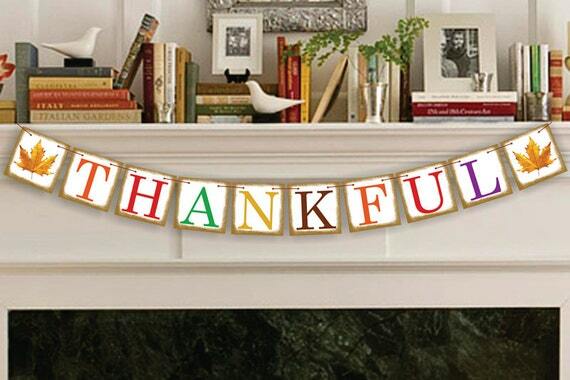 This Thanksgiving banner is designed in classic two color stripes. Very masculine for men and boys, but will appeal to everyone. 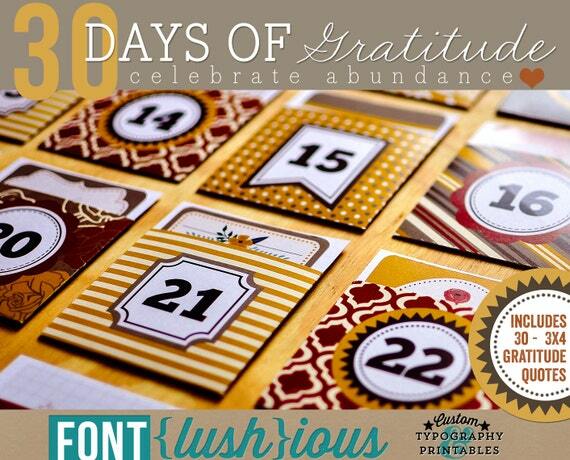 In the style of Advent calendars made to count down to Christmas Eve, this is a Thanksgiving countdown to help you and your family discuss and understand gratitude. It is a lovely idea to work on with your children. You don’t need to spend a lot of money decorating your home for Thanksgiving. There are a wide range of printable wall art examples that you can print on your computer and frame to give your home a more festive mood. Each one is designed by an artist for you to put together at home. This group of printables are all different activities to keep children busy during the holiday weekend. You can use them to entertain kids while you are preparing for the gathering as well as during your get-together. Some of these activities work well for the entire family to play with together. You can also find coloring pages for kids that get bored during the meal. I love the colorful turkey which is a great activity to work on with a parent, older sibling or grandparent. The photo props are great for kids to take pictures with their cell phones and post on Instagram. Or you can have the kids dress up in Thanksgiving costumes. If you are handing out treats in school or at your family gathering, here are some treat bag toppers and other small printables you can use. 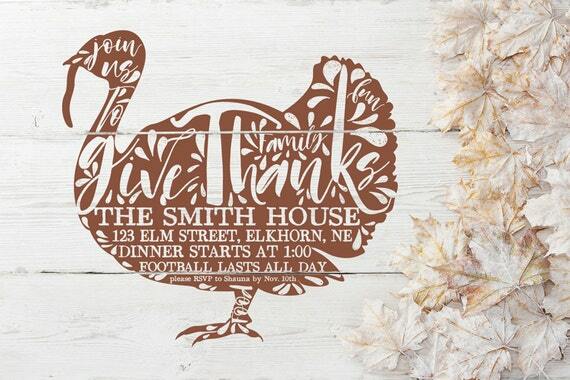 I have also include an example of a printable menu card and some cool subway art for Thanksgiving here. November is certainly a month to use your planner if you need to keep track of your Thanksgiving plans, travel plans, menu plans. . .well, you get the idea. 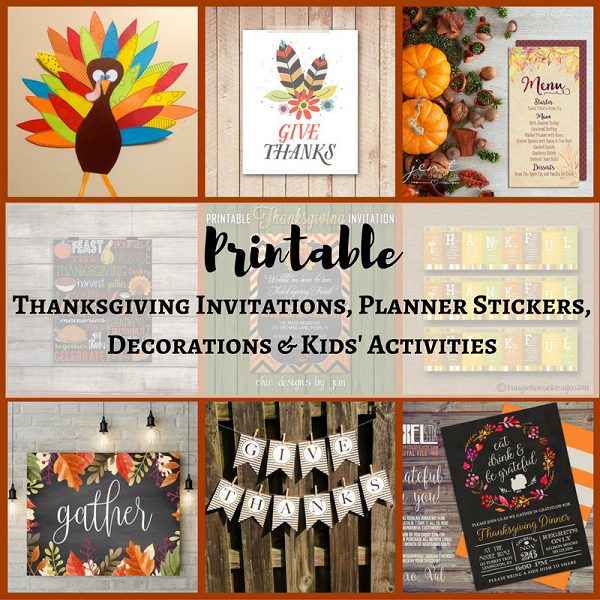 Here are some fall and Thanksgiving printable stickers and planner pages. Some are designed for specific planner brands, so if you don’t see yours here, click through to Etsy to search for it. This rustic invitation print can actually include other words for a wall art piece. I just love the style of it and had to include it to complete this page. What a creative idea and perfect for so many possible uses. Click through to find out more about this download.